1. 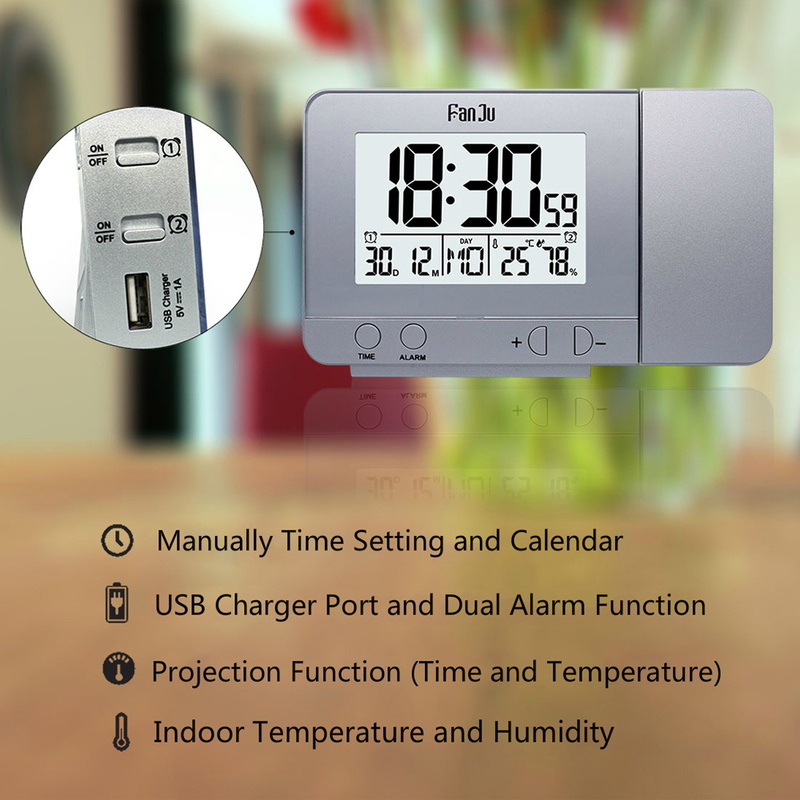 All-in-one Functions ----- Wireless projection alarm clock with indoor temperature and humidity display; Temperature and time projection with ON or OFF button; 1 USB charger port; 2 alarm and snooze functions; Calendar with 7 language selection; Time in 12/24 format; 4-level backlight selectable with power supply. 2. 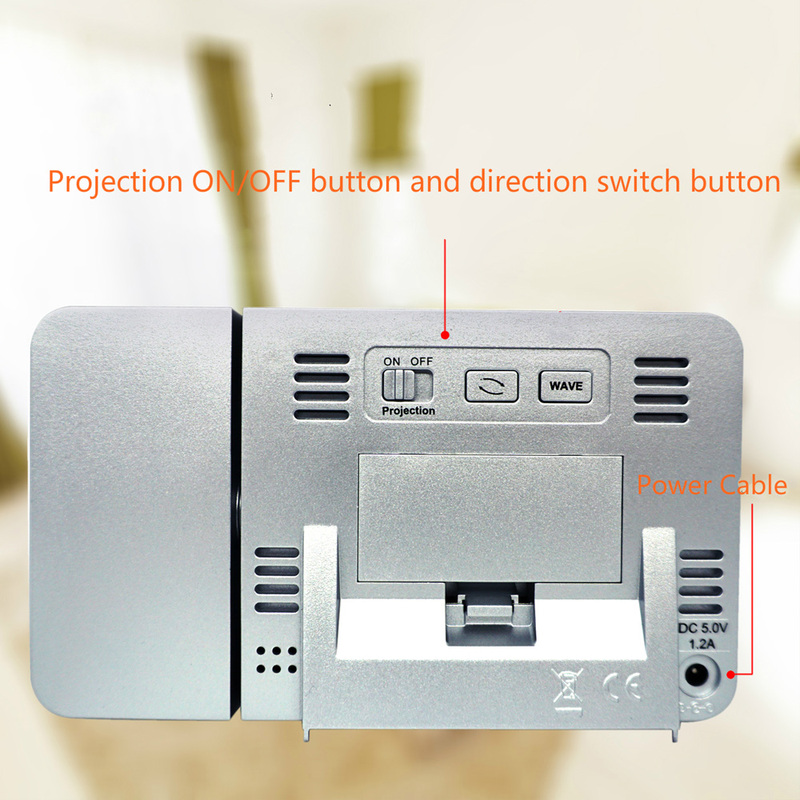 Projection Function ----- All information on the display can be easily read from any angle. Project time and temperature at the same time. Press the button to project for 8 seconds with battery and keep project with power cable, you can also use ON or OFF button to control it. 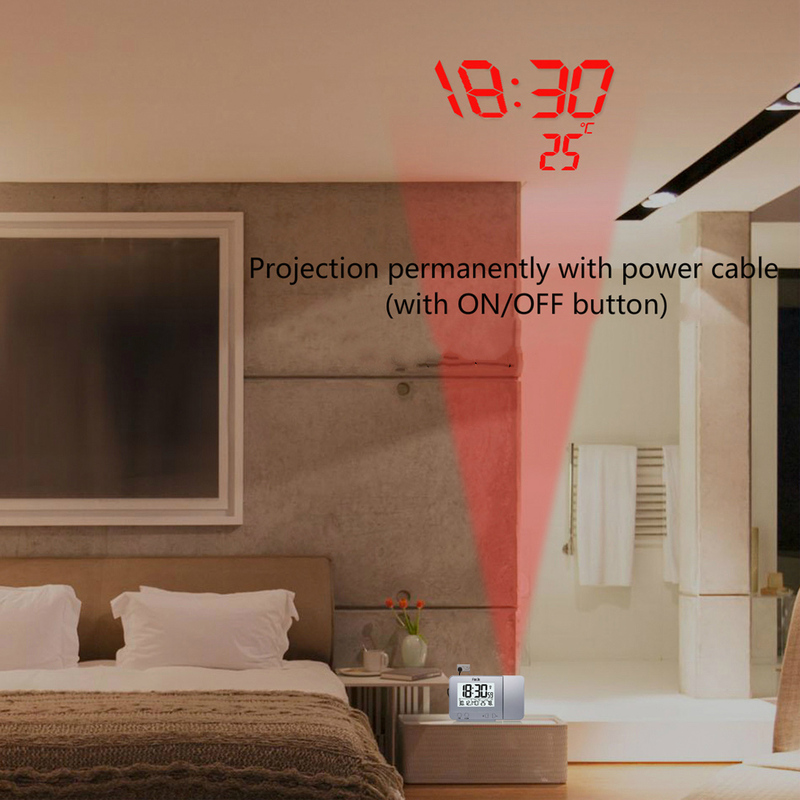 Adjustable projection angle let you can select the appropriate angle for time project. 3. 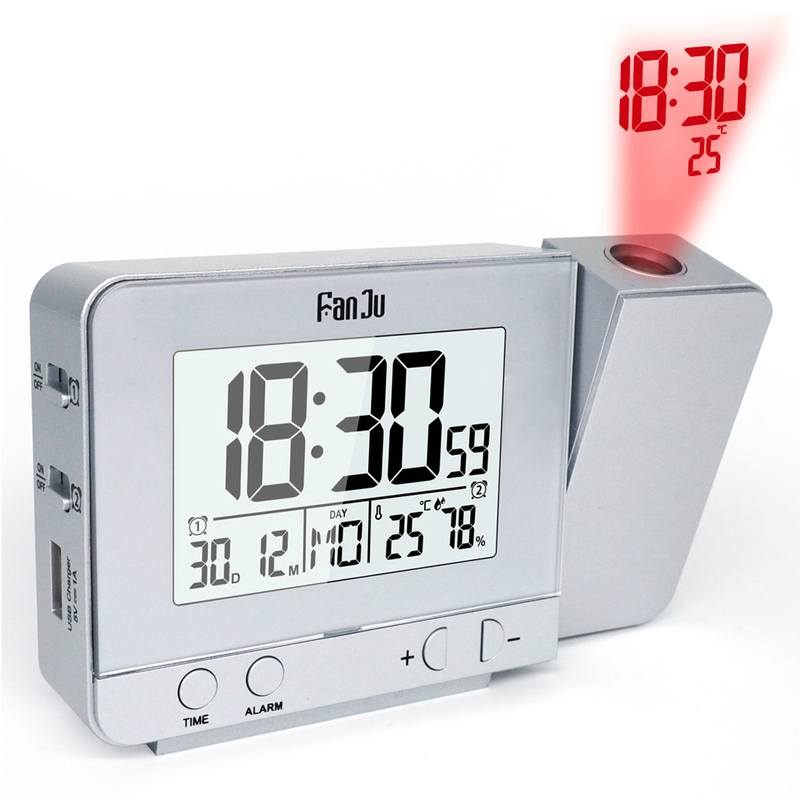 Alarm Clock, Indoor Temperature and Humidity ----- Time in 12/24 format. Indoor temperature and humidity are clearly displayed. 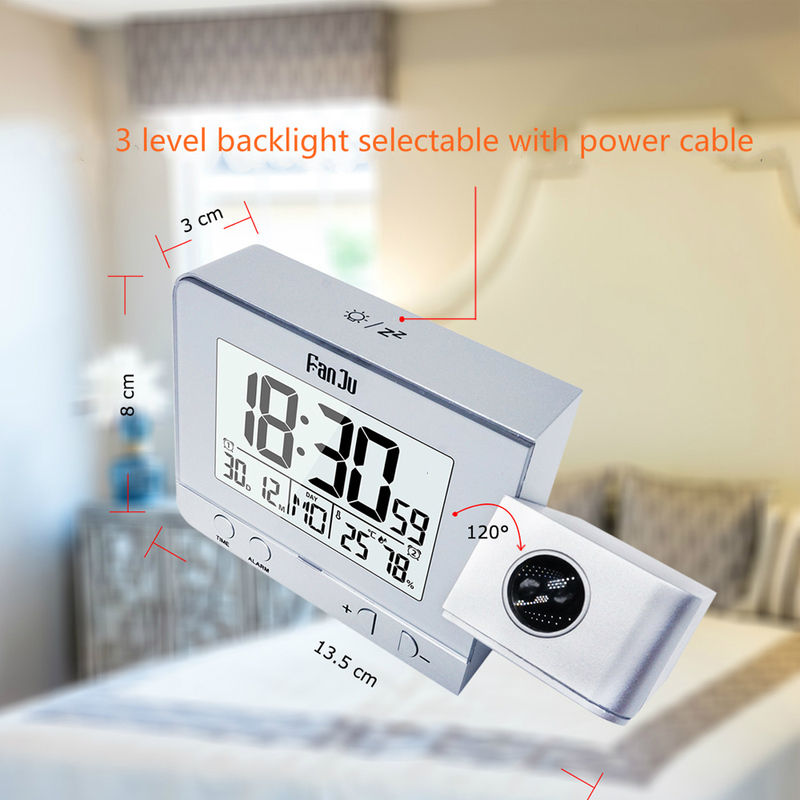 The temperature is displayed either in C or F. These extra features will help you decide on your daily clothing. 4. 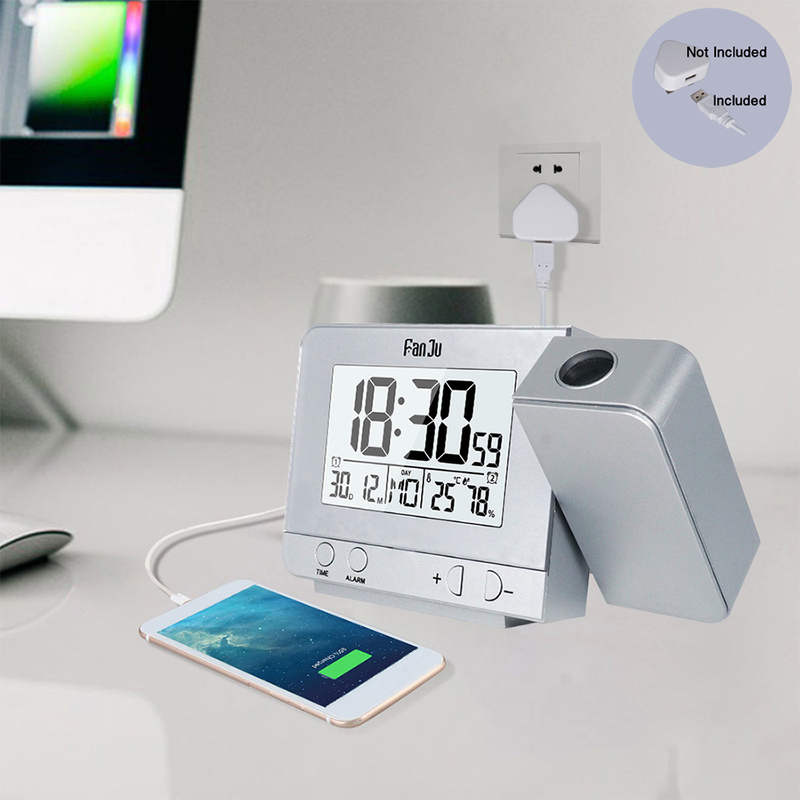 USB Charger, Double Alarm with Snooze Function ----- Set two separate alarms allow you to set different alarm for different purposes. Press the top button to doze the alarm for an extra five minutes of sleep. USB output interface on the left allows easy charging of electronic device. 5. Power Supply----- 2x AAA batteries (not included) or USB power cable (included). Touch the top of the clock to activate the backlight and projection for 8 seconds. Backlight and projection hold lighting and the backlight has 4 level selection with USB power cable.